The country's largest crafts chain said Saturday it learned recently of 'possible fraudulent activity' on some customer payment cards, suggesting there may have been a breach. 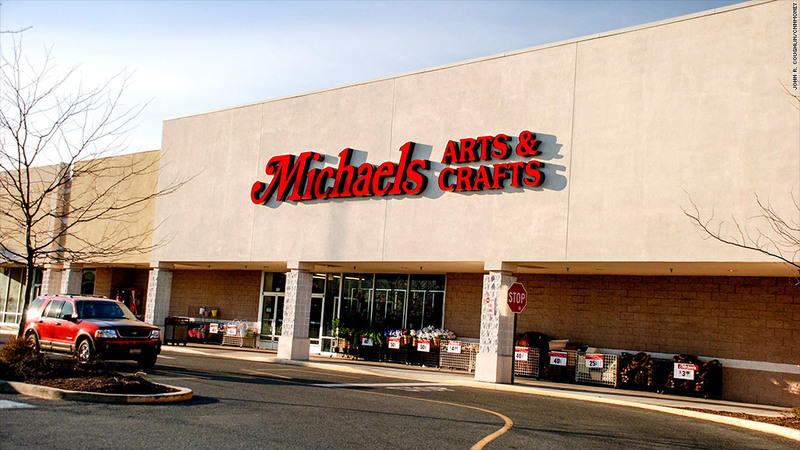 The country's largest crafts chain may be the latest retailer hit by a security breach. Michaels said Saturday that it learned recently of "possible fraudulent activity" on some of its customers' payment cards, suggesting there may have been a breach. "We are concerned there may have been a data security attack on Michaels that may have affected our customers' payment card information and we are taking aggressive action to determine the nature and scope of the issue," Rubin said in a statement. But citing "the widely-reported criminal efforts to penetrate the data systems of U.S. retailers," the company warned customers of the possible issue. If a breach is confirmed, Michaels said in a post to its website it would offer free identity protection and credit monitoring. In recent weeks Target (TGT) and Neiman Marcus have each acknowledged breaches.